There's still time to sign up for door knocking in Dubuque this weekend. Bernie national is looking for Wisconsin volunteers to help! If you can spare a day or a weekend to canvass for Bernie, sign up http://bit.ly/1KAkIup at AND REPLY TO THIS POST so people going can try to put a carpool together. Ongoing Tabling We are tabling at Cameron Park Friday evenings and Saturday mornings. We have added a few other times to coincide with the La Crosse Bike Festival and hope to add even more soon. If you want to sign up to table right now, go to tinyurl.com/LaXTable4Bernie. If you want some training before you sign up, please email Cathy. Leafletting There are some events coming up where we won't have a table, but it would be great if Bernie folks could walk among the crowds wearing their Bernie shirts and handing out Bernie info to those who want it. I am thinking specifically of Pride Fest (Sept. 12) and Hmong New Year (Sept. 18-19). I have seen other 4Bernie groups also plan flyering cars at high school football games. HEY OUTREACH TEAM - would anyone like to see about getting something going at these important events!? Create Your Own Event! Be sure to let us know about it! HEY - THERE ARE 100+ PEOPLE ON OUR LAX4BERNIE LIST! Can we at least get FIVE new events going? OTHER EVENTS - Fighting Bob Fest will be on Saturday, September 19 in Madison. Many great progressive speakers (Russell Feingold and Ed Schultz, for example). Bernie has spoken at FBF before but so far he's not on the list. WE HAVE A HEADQUARTERS! Thanks to LaX4Bernie member, Jackie E., we will have a place to store things, plan things, and coordinate things very soon -- just in time for the vagaries of fall and winter weather. We're still working on details, but for now, there's definitely space to store signs and other materials. (Tabling kit will remain at its current location.) More soon! VOTER REGISTRATION TRAINING. Get trained to register voters in La Crosse, Onalaska, and Holmen. A third session has been added (the August 31 session is now full). Sign up for one session: September 2 at 9:00 a.m. or October 20 at 5:30 p.m. Both are in the fifth floor conference room at La Crosse City Hall (400 La Crosse Street). They will last about two hours. To sign up, call Teri Lehrke, City Clerk, at 789-7556. DISTURBING AGREEMENT BETWEEN WISCONSIN DEMS and CLINTON CAMPAIGN. A LaX4Bernie member noted this NYT article that reports on fundraising "partnerships" agreed by four state Democratic parties (including Wisconsin's) and the Clinton campaign. The move to create the “Victory Funds” – in which the money raised would be divided between the state parties and the Clinton campaign – comes as efforts to form a joint fund-raising agreement with the Democratic National Committee have repeatedly hit snags over concerns in the Clinton campaign about the current party leadership’s controlling the money in any shared account. The national committee, which is intended to remain neutral, has been accused by Mrs. Clinton’s rivals for the nomination of taking actions that could benefit Mrs. Clinton, such as restricting the number of debates. So, I guess if you'd prefer that your donations not be split with the Clinton campaign, you should donate directly to candidates through their ActBlue sites. UPCOMING VOTER ID ACTION. The La Crosse County Dems are planning to update their voter lists this fall and will be reaching out for volunteers to help walk and knock and phone call. While not Bernie specific, these activities will help Bernie by helping elect people who are on board with policies for people not crony corporations. To help with walk and knock, contact Ed at 608 526-3945. If you can do calling, contact JD at 608 783-0172. If you are not a Democratic Party member, let the contact know how you heard about the program. STUDENTS FOR BERNIE! 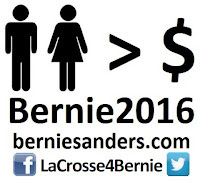 Now's the time to get a LA CROSSE STUDENTS 4 BERNIE group going! Do you have a connection to UW-L, Viterbo, WTC, or Globe University? If yes, PLEASE STEP FORWARD!! Can you arrange for weekly TABLING on your campus? (We can help find volunteers to staff tables.) Can you hold an event - like a video of a Bernie rally speech? - that will bring students together to sign up for Bernie (We can help with organizing). Can you get a few students together to be Bernie Ambassadors in their residence halls or hand out flyers at a football game or write letters to your campus newspaper? I have heard from a couple of students already - let's do some planning online and get things going. If even one student from each school could start meeting together and organizing events, the potential is incredible. For now, email Cathy and I can connect you. LAX4BERNIE TEAMS - TIME FOR ACTION! Four groups are set up to start working on the Bernie campaign right here and right now! Please sign up! We need active volunteers for the OUTREACH team, the MEDIA team and the HOME team. We are adding a CANVASSING team, too! Email Cathy if you want to get connected to one or more. Let's get a few LETTERS TO THE EDITOR out there (even if the LaX Tribune barely publishes any letters any more). SUBMIT STORIES AND IDEAS for the next LaX4Bernie News. COOLEST BERNIE SITE OF THE WEEK: Billionaires try to shut down Bernie HQ in Phoenix. SECOND COOLEST: Bernie addresses the higher powers of the Democratic National Committee in Minneapolis, Friday, August 28. (Bernie starts at about 56:00 on this C-SPAN broadcast, though for a real hoot, watch candidate Martin O'Malley's scorching criticism of the DNC's "debate" non-schedule (starting at 29:30)). Door knocking in Dubuque Bernie national has just announced a weekend of Bernie action in Iowa, August 28-30, and they are looking for Wisconsin volunteers to help! If you can spare a day or a weekend to canvass for Bernie, sign up http://bit.ly/1KAkIup at AND REPLY TO THIS POST so people going can try to put a carpool together. Ongoing Tabling We are tabling at Cameron Park Friday evenings and Saturday mornings. We have added a few other times to coincide with the La Crosse Bike Festival and hope to add even more this fall. If you want to sign up to table right now, go to tinyurl.com/LaXTable4Bernie. If you want some training before you sign up, please email Cathy. BERNIE ROAD TRIPS William, Jackie, Carrie, John and Aaron took a trip! From Facebook: We had a lot of fun on our road trip to Dubuque. Loras College has some really nice facilities. Bernie Sanders gave another great speech. The stamina he shows is very impressive, as he has had some marathon days this past week. [August 15], he was a guest on Meet the Press, he "officially" opened his Cedar Rapids Field Headquarters, he visited the Scott County Democrats Picnic (3,000 in attendance), he attended a labor meeting in Clinton (IAFF Local 609 Union Hall), and finally, he capped off the day with the Dubuque Town Hall Meeting (2,000-2,500 in attendance). Read more at LaCrosse4Bernie on Facebook. LAST DAY TO BE BERNIE SUPER PACK FOUNDING MEMBER From Bernie national: So far, over 50,000 individuals have made a monthly recurring contribution to our campaign. 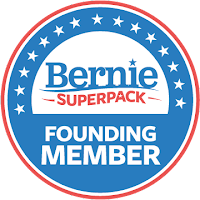 Today's the last day to get a "Founding Member" sticker to show you're a part of Bernie's Super PACK. Are you in? Add your $3 monthly recurring contribution today and we’ll send you this Bernie Super PACK founding member sticker—the last day for this offer. While our grassroots fundraising numbers are historically large, so is the amount of money billionaires are pouring into Super PACs for Hillary Clinton, Jeb Bush, Ted Cruz and almost every other declared candidate. That’s one of the reasons your recurring contribution is so important: it allows us to scale our plan secure in the knowledge that we’ll have the resources needed to win in Iowa and New Hampshire, and capture the delegates required for the Democratic Party nomination. 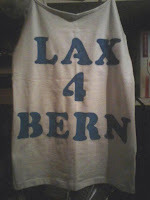 LAX4BERNIE TEAMS - ARE YOU SIGNED UP? Three FOUR groups are working on the Bernie campaign right here and right now! Please sign up! We need active volunteers for the OUTREACH team, the MEDIA team and the HOME team. We are adding a CANVASSING team, too! Email Cathy if you want to get connected to one or more. STUDENTS FOR BERNIE? We have several institutions of higher learning in our area - let's help get a LA CROSSE STUDENTS 4 BERNIE group going! Do you have a connection to UW-L, Viterbo, WTC, or Globe University? If yes, can you help set up an or several student events either at your institution or in the community? It would be great if we could have regular Bernie tabling at each school for example or a Bernieversity teach in event or something that will bring young voters into the campaign. Let me know if you're interested and/or spread your ideas on our social media network. If even one student from each school could start meeting together and organizing events, the potential is incredible. 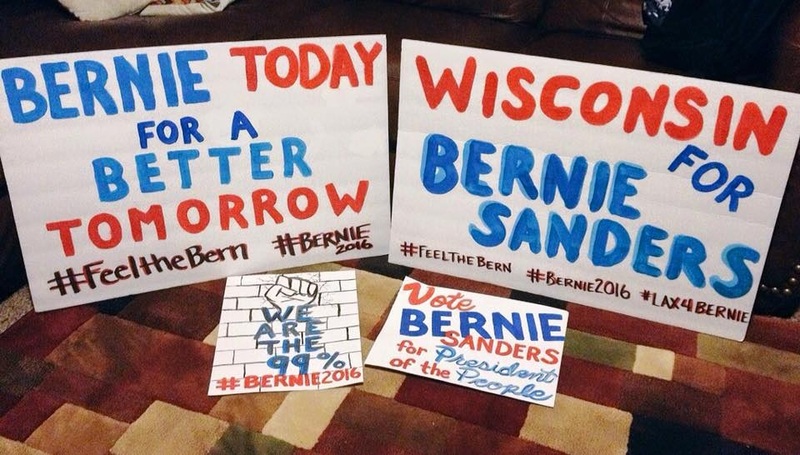 SEEKING LA CROSSE 4 BERNIE HQ! Do you have a front porch, garage, basement or spare room you could spare a few hours a week as a Bernie headquarters? It would be nice to have a centrally located space to use as a headquarters and supplies storage space. It wouldn't have to be big or open 24/7. Maybe it would be available by appointment only or only on Saturday afternoons and Wednesday evenings. Ideally it would be someplace that is secure and would hold a few people for a meeting, strategy session, canvassing training or other planning event. If you know of or have someplace like this, please email Cathy. VOTER REGISTRATION TRAINING OFFERED IN CITY OF LA CROSSE. As we know, it's super important to make sure as many eligible voters as possible are registered to vote. Bernie will need as many votes as possible. People who wish to be certified to register voters in the City of La Crosse ay sign up for one of two training sessions offered by Teri Lehrke, the City Clerk. Please note that voter registration must be a NON-PARTISAN activity. Registrars must register anyone who qualifies and may not do any politicking while registering voters. The sessions are: Monday, August 31 at 1:30 p.m. and Wednesday, September 2 at 9:00 a.m. Both sessions will be held in the third floor conference room in City Hall, 400 La Crosse Street. Call Ms. Lehrke to register for a session: 608 789-556. THIS IS JUST FOR CITY OF LA CROSSE! If you live in another community, contact your city clerk to request a training session. HELP LAX4BERNIE GROW! Do you know people in our area who want to help elect Bernie Sanders? Please have them email couleeprogressive@hotmail.com to be put on the mailing list and get information about local activities and opportunities to help. Coolest (really) Bernie site of the week: ummmmmm. ice cream. We are so happy to announce that several events are sprouting from seeds planted by the great folks who came to the July 29 Organize for Bernie parties in La Crosse! 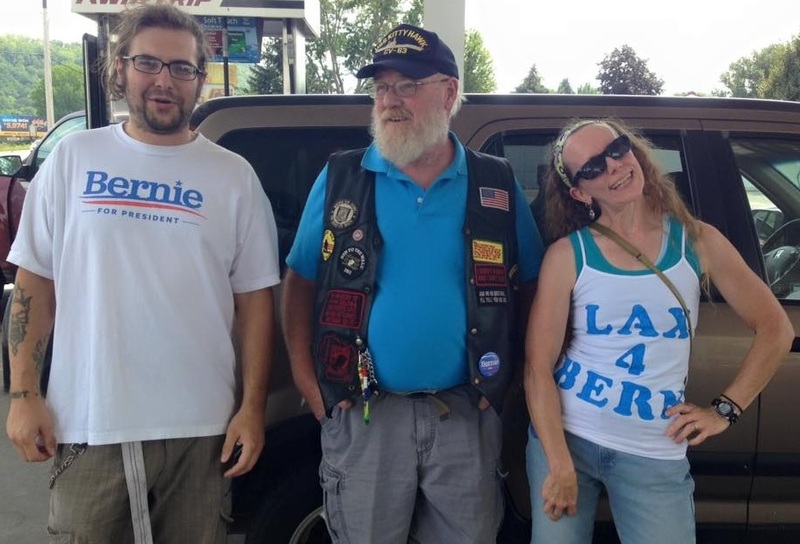 On Sunday, August 16, William M. organized a group to attend a Bernie speech in Dubuque, Iowa! 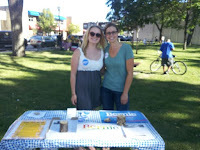 On August 24, Kendra C. will host an organizing event for Bernie in La Crescent, MN! Encourage your Minnesota friends, co-workers and relatives to sign up for this event! On September 7, La Crosse 4 Bernie-acs are invited to MARCH IN THE LABOR DAY PARADE with the La Crosse County Democrats. Wear your Bernie shirts and buttons, bring your Bernie signs! After the parade, share your BERNIE FEVER at the Labor Day picnic at Copeland Park. There will also be a brief meeting at the park at about 11:30 with information about Bernie tabling and canvassing opportunities.This is an official BERNIE event - please RSVP here! + CANVASSING - walking from door to door, giving or leaving Bernie literature, talking to people about Bernie and his campaign, identifying likely/possible/potential Bernie voters - THIS IS VERY IMPORTANT! 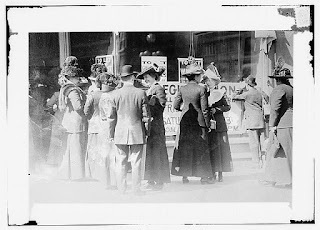 Get more ideas and support locally by using local social media to publicize your event AND from the national campaign. Literally - our next STEPS will be walking our neighborhoods, knocking on doors, telling our neighbors about Bernie and his campaign, signing up new volunteers, identifying solid and potential Bernie voters and taking this campaign to the next level. These are our MARCHING orders from the national campaign. Normally, campaigns themselves organize and pay for canvassing. But, this is not a normal campaign! As Bernie has said over and over, "It's not about me. It's about you. It will take nothing less than a political revolution for our campaign to succeed, which is why we need a powerful grassroots movement of Americans standing up and saying 'Enough is enough.'" 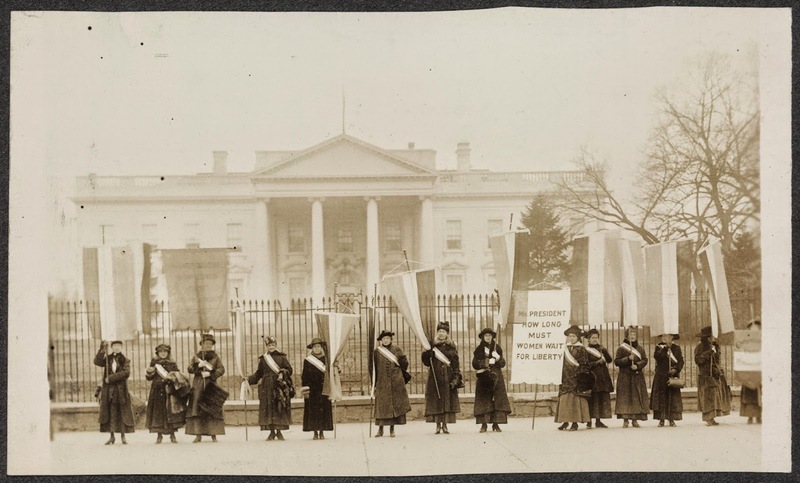 Here's a very good article describing what is expected of us volunteers in this campaign. Each community should plan its own canvassing. If you live in Onalaska, La Crescent, Holmen, Sparta, Viroqua, etc. you should put together your own team. For La Crosse, I am hoping to find a team of at least two or three other people to set up canvassing to begin in September and become the CANVASSING team. It would be even more incredible if we could find one organizer for each district within the city, though (see the map at: http://cityoflacrosse.org/DocumentView.aspx?DID=3806) I am in AD 15 (red 26). I actually think these districts have changed recently, but that city website is very poorly designed to find anything useful, so this will work for our purposes. * Using google maps, other maps, and our knowledge of the city, we will develop routes for door knocking. * We will add volunteer trainers, supervisors, data entry, etc. as they become available. Some of this can be done on our own - especially preparing maps once we set up the criteria. Then we will need at least one person to supervise - hand out maps, provide training, answer questions, collect data - each canvassing session. Many of us have done this before and once we get it organized, we can advertise it as an event on the berniesanders.com website picking up (we hope) some new area people who may not be on our list. So, if you are interested in helping to set this up, please email me by this Saturday, August 23. This is super important. 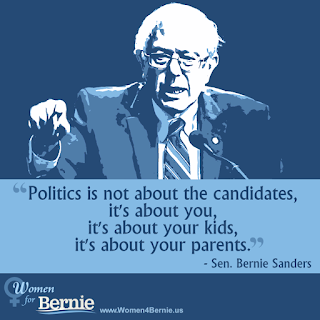 As the article referenced above notes, Bernie's success in the fall and winter, whether he's a "summer fling" or "the real thing" will depend on how much we Bernie supporters are willing to actually do to get his name out there, give people a positive picture or him, get others excited about and interested in his campaign, identify potential new volunteers and voters, make sure people know how to register and when and where to vote, and all that other stuff. Ongoing Tabling! We are tabling at Cameron Park Friday evenings and Saturday mornings. We hope to add more sites in September, but we need volunteers to staff the table! So, there will be a HOW TO TABLE FOR BERNIE training the first half of September and monthly after that. If you want to sign up to table right now, go to tinyurl.com/LaXTable4Bernie. If you want some training before you sign up, please email Cathy. IS IT TOO EARLY TO SPREAD THE BERN??!! For gosh sakes, the Wisconsin presidential primary isn't until next APRIL 5! Isn't it too early to do all this Bernie stuff!? Friends, are you thinking this very thought at this very moment? Please consider these points that might convince you that it is absolutely NOT too early to start spreading the word about Bernie! * Bernie's name recognition is very poor at this stage. And you may know that there's a popular twitter tag #BernieMediaBlackout which kind of tells you all you need to know. And, unfortunately, our fellow Americans are not always up on their political knowledge. Please check out this rather depressing report on results of a 2014 Annenberg poll. For example, only about 36 percent of those surveyed could name all three branches of government (and 35 percent could not even name one). * Bernie's campaign is not supported by billionaires. This is not a slogan. This is a fact. While he is raising money from record numbers of contributors, his overall campaign “war chest” will be exponentially lower than those of his serious rivals. Less campaign cash = fewer campaign commercials. Why is that important? * Truth or myth? I don't know, but the marketing “rule of seven” says that it takes seven touch points or contacts with a customer before she/he decides to take the next step. Let's make those seven and more contacts positive, affirmative and hopeful. * More volunteers, more energy, more ideas, more events! The more people we can touch with canvassing, talking to neighbors, holding events, connecting people with Bernie info on social media, the more helpers we get to spread the campaign. * Bernie is going to need EVERY SINGLE VOTE he can get in every state to overcome built in biases toward the status quo, establishment, big money candidates. This is not your normal campaign. We may get a field office but don't hold your breath. If we don't, all that stuff that the campaigns usually organize and pay for - identifying Bernie voters, tabling, door knocking, printing literature, stocking office supplies, phone banking, canvassing, get out the vote - we will need to do. If we do get a field office, we'll already be ahead of the game and ready to jump in running. 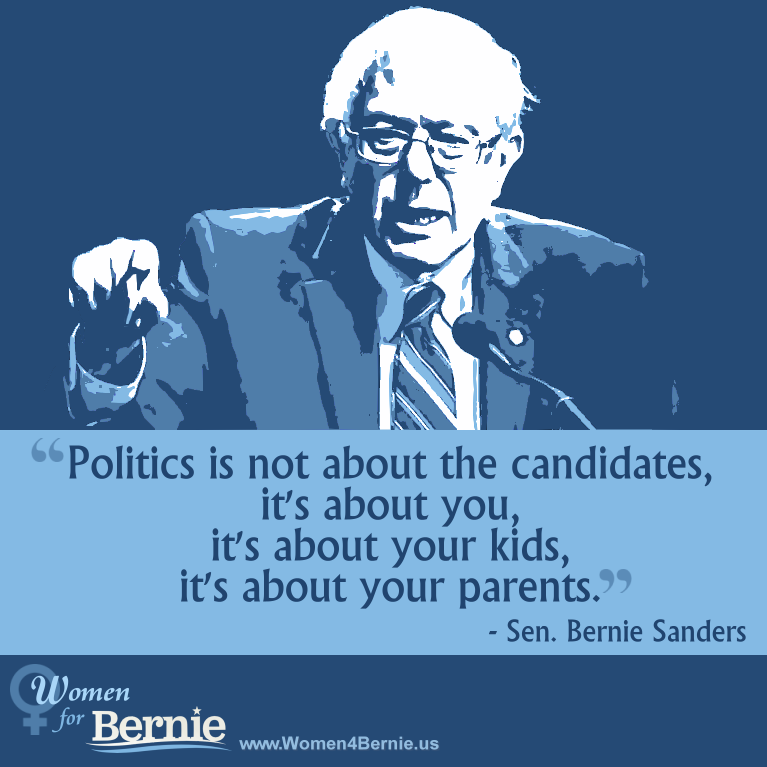 LAX4BERNIE TEAMS - ARE YOU SIGNED UP? Three groups are working on the Bernie campaign right here and right now! Please sign up! We need active volunteers for the OUTREACH team, the MEDIA team and the HOME team. Email Cathy if you want to get connected to one or more. LA CROSSE STUDENTS FOR BERNIE? We have several institutions of higher learning in our area - let's help get a LA CROSSE STUDENTS 4 BERNIE group going! Do you have a connection to UW-L, Viterbo, WTC, or Globe University? If yes, can you help set up an or several student events either at your institution or in the community? 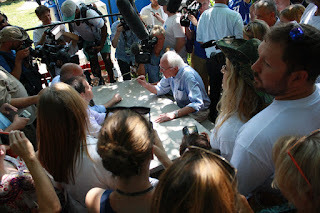 It would be great if we could have regular Bernie tabling at each school for example or a Bernieversity teach in event or something that will bring young voters into the campaign. Let me know if you're interested and/or spread your ideas on our social media network. If even one student from each school could start meeting together and organizing events, the potential is incredible. CONNECT WITH LA CROSSE 4 BERNIE ON SOCIAL MEDIA! by WILLIAM M - We have several options to keep you up to date and provide places online to thoughtfully engage with fellow Bernie Supporters in the La Crosse area and in the state of Wisconsin. Please do not feel overwhelmed by the many options available. They are provided so you can connect in the way that suits your needs. By no means do you have to sign up for anything you do not use or want to use. We encourage you to participate at your own comfort level, and planned events will be updated across all platforms, so no one will feel out of the loop. The La Crosse City Clerk, Teri Lehrke, will hold two Special Registration Deputy Training sessions for people interested in becoming certified to register La Crosse city residents to vote. Both sessions will be held in the third floor conference room of City Hall, 400 La Crosse St. The first session will be on Monday, August 31 at 1:30 p.m. and the second on Wednesday, September 2 at 9:00 a.m. Call 608 789-7556 to RSVP. Please be aware that any voter registration activity must be NON-PARTISAN! With new changes to Wisconsin's voting and voter registration laws, it is vitally important that we make sure as many people as possible are registered to vote. Having some people certified now will help if we get some student and community events going this fall. This is a national issue. Let's do our part! This article from Bull Moose Nation also explains why Bernie is going to need even more votes than normal because of the number of "super delegates" whose votes are not bound by the will of primary voters. 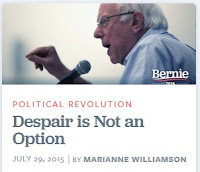 What better reason to resurrect a PROGRESSIVE blog than to support a PROGRESSIVE candidate like Bernie Sanders? 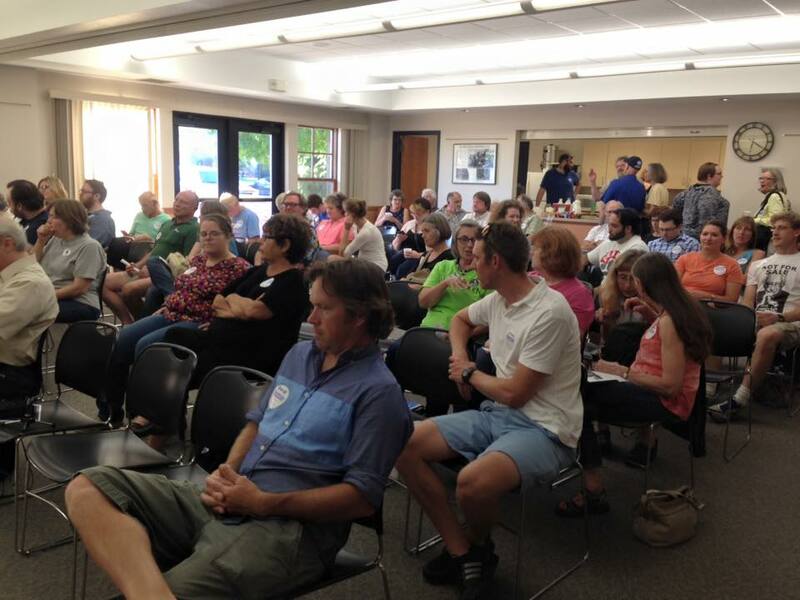 Coulee Progressives will blog about Bernie and especially about the local Bernie efforts. We hope more voices can be involved this time! We can start on a positive note! Here's the latest Get To Work! video from Bernie (btw, if you haven't yet signed up to work on the national campaign, that link will connect you with a handy online form you can complete). OR you can text WORK to 82623. Please spread the word about Bernie, especially his long record of working on the good stuff! 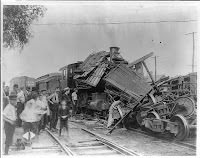 This very nice diary from DailyKos Why all Americans should support Bernie Sanders. If you are looking for some history and profiles in courage, here you go. And, by the way, if you REALLY want to SPREAD THE WORD IN LA CROSSE (specifically at Cameron Park on Friday evenings and Saturday mornings), please USE THIS LINK to sign up for a slot!